It is with great pleasure that, in association with Crown Casino, Bluff magazine and PokerNetwork, I announce the formation of The Australian Poker Hall of Fame. The business name has been registered and a new “Hall of Fame” tab on the PokerNetwork website will be revealed shortly. In conjunction with representatives of the Oz Casino Industry, Bluff Magazine, players and PokerNetwork, we intend to launch the Australian Poker Hall of Fame at the Crown Casino 14 January 2009 during the VIP Event of the Aussie Millions. On behalf of all the Australian and New Zealand poker players I extend a special thanks to Crown Casino for this privilege during the Aussie Millions and for the support from Bluff and PokerNetwork. It will be an occasion to remember and a full coming of age for the grand old game of poker in Australia, coming as it does with the record breaking million dollar buy in event. The Australian Poker Hall of Fame aims to to honour and set in stone, those poker players, Casinos and promoters who have done so much to bring the game to the standard of excellence as it is today. 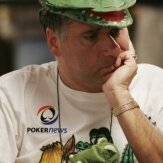 In the selection of inductees, advice has been taken from numerous poker players and supporters and Casino administrators. Domestic and international results were examined to finalise the selections for induction 2008. Have displayed significant player excellence. The chosen criteria, of course, will prevent our newer young stars from Hall of Fame recognition at this time, but, as their own poker years clock up we will see those inducted who are currently prominent in the game and money lists. This is an imposing list and provides a difficult task for selectors. Unfortunately, like the battlefield, some are chosen for glory and many must remain unsung. It is with some considerable pleasure that we now invite the followingplayers to be inducted into the Australian Poker Hall of Fame. One of our most colourful players, “The Croc” is a multiple winner of tournaments on both sides of the Tasman and overseas. He captained Australia in the 2003 Shane Warne Poker Ashes and has been MC and consultant to Foxtel and others. The man in the black jacket has been around since the first Casino tournament in Tasmania in 1981. He is one of the few Australians to have won a WSOP bracelet (Stud 1996) and is regarded as one of our most consistent poker performers. 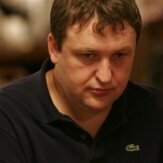 This Lithuanian born pro’s enviable poker record includes successive final tables in the WPT Grand Prix de Paris. 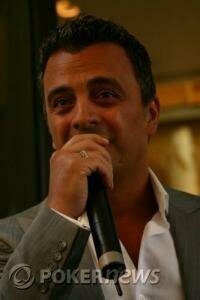 He was European Poker Champion in 2005 and won the first Asian Poker Tour title in Singapore 2006. 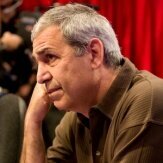 Owner of PokerNews and PokerNetwork, he has had considerable influence on the growth of poker in Australia. The hometown hero and World Champion is still feted for his triumph in the WSOP 2005 and the follow up prestigious WPT Five Diamond Classic in 2006. He remains one of the five players to have won both events. He has had a spectacular influence on the growth of the game in Australia and continues to this day. 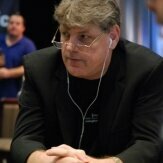 He may now spend most of his times overseas but this long time player has been active in Australian Poker since 1981. Long regarded as the father of Aussie poker he remains a legend in his own time, winning two WSOP bracelets in 1989 and 1997 and made the final table of the 1997 WSOP Main Event. The WPT win at the Bicycle in 2003 adds to these remarkable achievements. One of the world’s highest rated players in both cash and tournament, this Perth born pro won his first WSOP bracelet in 2007 after finishing runner up in the PL Holdem event. After some 20 years in pro poker at home and abroad he remains a prestigious player and a constant challenger for tournament honours. In the past few years this USA/NZ expatriate has compiled an envious record in the Asian Pacific region and PokerNetwork rankings. “Final Table” remains a leader in tournament poker, a recognised poker author, a TV personality and a strong supporter of Australian poker. Maurie is an early veteran of Poker in Australia who has been active in the promotion and development of the game since 1981 both as an owner of Casinoz and Pokernetwork as well as a player of note. He has taken a significant role in the growth of Casino Tournament Poker in Australasia before his retirement from play in 2007. He retains an active interest in Casino Poker activities and was responsible for the establishment of the Australian Poker Hall of Fame which was recently launched in association with Crown Casino. Congratulations to these selected inductee players. They are truly representative of what can be achieved with passion and skill. Poker is a people game. The face to face confrontation in Australasian Casinos is a personal challenge which is yet to be met by any other gaming enterprise. NOW WE COME TO THE INAUGURAL LEGEND OF POKER - that player inductee who stands out not only as a player of excellence but also who has served with distinction and brought credit to the game of Poker in Australia. 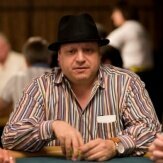 He has been selected by his peers of the Australian Poker Hall of Fame. Well done Joe. You are a true champion and a gentleman and we are honored to have you as our first Australian Poker Legend.